Snapchat, the ephemeral photo, video, and messaging app, was released in 2011. Since then, the mobile application has grown its base to over 166 million daily users, representing 31.6% of the U.S. social networking share. By the end of 2017, Snapchat is projected to generate $895.5 million in advertising revenue, up from $340 million in 2016. After speaking with several of our small to medium-sized clients, we determined that Snapchat’s various pricing models and buying options were the biggest areas of hindrance for marketers interested in the platform. 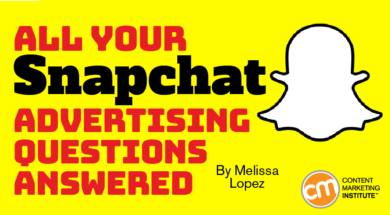 Snapchat advertising questions are common given the rumored expensive price tags and layered buying variables. It’s not surprising that marketers express confusion about relevant capabilities for their brands. 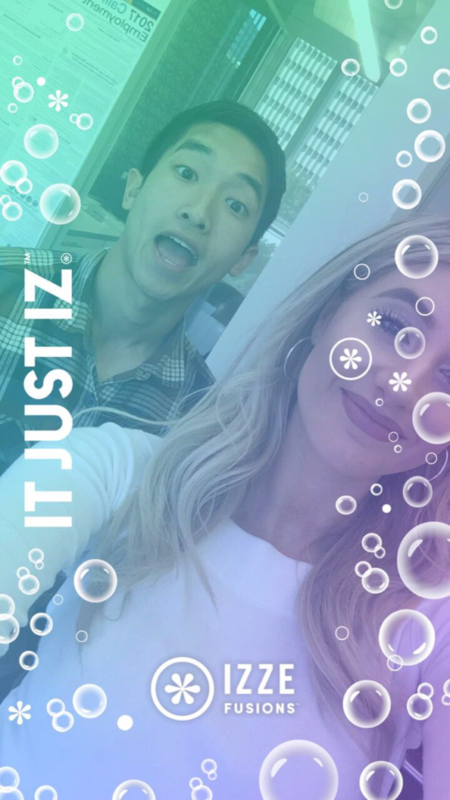 To streamline purchasing ad inventory on Snapchat, advertisers can work with the platform’s 15-plus ad API partners from pre-campaign strategy to creative execution. But first, with a unique ad inventory unlike its competitors, marketers should understand how advertising on Snapchat works in order to determine whether it’s the right avenue to advertise their brand’s content. In this post, I provide answers to the most common questions I’ve been asked the last few months. Snapchat offers three ad units: Sponsored Lenses, Geofilters, and full-screen vertical Snap Ad videos. Instagram and Facebook allow advertisers to purchase inventory in a self-service fashion, but Snapchat ads require some degree of manual customization depending on the format. Sponsored Lenses are interactive filters that allow Snapchat users to enrich a photo or video. 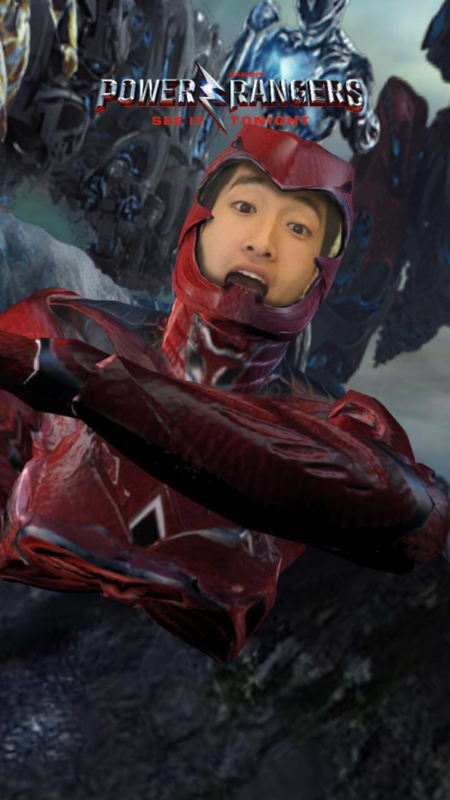 Regarded as one of the most engaging ad products, Lenses are activated by facial recognition triggers, such as raising eyebrows or tapping on the screen. This ad format is developed by Snapchat’s Creative API partners in accordance with the brand and the assets provided. Since this ad format is developed in unison with Snapchat’s developers to create and code the lens, Lenses are the most challenging ad types to execute. According to Snapchat’s internal data, Lenses drive three times more brand awareness than other mobile applications, and aggregate an average two times greater lift in purchase intent. A Sponsored Geofilter is a sponsored photo or video filter that appears on a Snapchat user’s account based on the brand’s defined geographic location. The brand or agency is accountable for providing a web-optimized PNG file of the creative asset based on Snapchat’s community and brand guidelines. National: Brands can execute Geofilters at scale to generate national awareness for a product, service, or event. This ad type best aligns with campaigns around events, holidays, and pop culture trends, and can be apportioned into multiple groups, including age, place, or time periods (for an additional cost). Shared spaces: A shared spaces campaign leverages high-traffic social spaces to share a brand’s message. Shared spaces commonly include airports, malls, college campuses, or golf courses. Chain: For geographically diverse campaigns, brands can implement a chain campaign to reach users at specific retail locations. Since repeat customers are common for larger chain stores, I recommend rotating creative so customers see new Geofilters upon revisiting. Event: For an event campaign, marketers can associate their brand with a major event, such as a music festival. For longer events, I recommend rotating creative to prevent creative from becoming stale to the same audience. Any Geofilter than encompasses more than 5 million square feet requires the involvement of a Snapchat representative. The pricing model for Sponsored Geofilters is relatively ambiguous and undefined because it is contingent upon the geofence, length of time, location, and population density. Local Geofilters, on the other hand, are self-implementable by any user on Snapchat.com. Creative designs are approved within 30 minutes to six hours, and are estimated to cost around $5 (they are more expensive depending upon the time frame and location). I do want to forewarn you about some levels of complexity around local Geofilters. If an advertiser wants to run a Geofilter from 6 to 8 a.m. Monday through Friday, it would need to set up a new Geofilter each day. Furthermore, if the campaign needs to reach users in Los Angeles and New York, then advertisers would have to set up a separate campaign for each location. A Snap Ad offers up to 10 seconds of full-screen vertical video, with an option to add interactive attachments so users can further engage with your brand while remaining in-app. This Snapchat advertising type has two times higher visual attention in comparison to Facebook and 1.3 times higher than YouTube, which could be attributed to Snap Ads playing with audio for impressionable moments. Snap Ads App Install: Users can install the advertiser’s app without leaving Snapchat. Snap Ads App Install works best with Google Play and Apple App Store. These can be measured by the number of installs or post-install activity, such as conversations or purchases. Snap Ads Web View: Users can instantly access websites without opening a browser. The designated website is pre-loaded, granting immediate access once the user swipes up. These can be measured by the average time spent on a site, and can generate an estimated 80% lift in on-site time. Snap Ads Long-Form Video: If 10 seconds isn’t enough time to communicate your brand’s message, Snap Ads Long-Form Video allows users to swipe up and engage with content up to 10 minutes. This can be measured by the average time a video is viewed. Snap Ads Article: Snap Ads Article creates engaging multimedia stories to mimic the format of Snapchat’s Discover (where users can access content to major publishers on their Snapchat home feed). This format allows advertisers to use a variety of media types, including text, in-line auto-play videos, animated GIFs, and images/galleries. These can be measured by the average percent of viewed article. Snapchat Ads are the easiest to buy because marketers can purchase ads through Snapchat or through one of Snapchat’s API Partners. Snap Ads + Attachments are reported to receive five times the swipe-up rate in comparison to the average click-through rates on other social platforms, but this ad type comes at a cost. Snap Ads have a minimum buy of around $10,000 per month, with CPMs approximately between $20 and $40 depending on where the ad appears. Beyond the standard purchasing options, Snapchat has adopted ad packages, much like other major social networks do. Major sporting or cultural events, like the Super Bowl or March Madness, can be purchased with a minimum spend requirement – $95,000 for NBA and $150,000 for March Madness, for example. These packages can incorporate various ad formats, from just a single ad unit or a combination of the three. The packaged inventory buys can be priced on a flat-fee basis or sometimes on a CPM basis. When does it make sense to use Snapchat ads? I’ve seen them work best to increase brand awareness in an actionable and frictionless environment. Snapchat ads don’t use pre-roll, which is why they are skippable. Furthermore, they take advantage of sound since the very nature of the app is visual and audio. Lastly, if you have the budget, Snap Ads + Attachments and Sponsored Lenses are actionable, and subsequently are more opportune for influencing conversions later on. What do we recommend to get started with? Some agency and brand executives have reiterated concern about the lack of standardization and ease, but as technical setup, targeting and measurement capabilities will mature as Snapchat’s ad offerings do. I recommend investing a test budget to Snapchat ads if your brand seeks to increase awareness because the platform offers metrics such as reach, video views, engagement, and completion rates. However, if you’re looking for direct response or performance marketing, Snapchat’s ad platform does not measure conversions or granularly evaluate audience data to the household income level, for example. How do you measure Snapchat advertising? Snapchat’s ad platform has adopted programmatic tendencies, which will ultimately create more scalable opportunities for advertisers. With immediate access to reporting, advertisers can implement A/B tests to simultaneously assess multiple ads and optimize in real time. Moreover, the adoption of technology integrations, such as its deal with Oracle Data Cloud, will improve targeting capabilities. With access to Oracle Data Cloud’s aggregated third-party data on 110 million households, $2 trillion in consumer spending, and 1,500 brands, Snapchat can determine whether offline activity or purchases are influenced by its ads. Email matching: Brands can use their own customer database lists to find people when they visit Snapchat. Interest-based targeting (Snapchat lifestyle categories and look-alikes): Advertisers can construct look-alike models to find similar consumers for ad campaigns. Custom solutions: Options also offer vertical-specific workflows, weather targeting, day-parting, and syncing with TV. Standard targeting: Focus on age, gender, location, device/operating system, and carrier. Snap Audience Match: Snap Audience Match is a proprietary technology that brands can use to target users by anonymously integrating first-party data and mobile device IDs to be overlaid with Snapchat’s user data. As for the future of Snapchat, one of the biggest hurdles to overcome will be integration issues with key tracking partners, like DoubleClick and Atlas, and targeting expansion. Typically, I’ve seen the majority of Snapchat advertisers fall in the B2C and consumer product goods space. Like any digital advertising plan, there are pros and cons. Snapchat has a niche audience, made up of mostly the millennial demographic. Just because major brands, such as Taco Bell or Gatorade, are advertising on Snapchat doesn’t discount other types of businesses from advertising on the platform. Ultimately, marketers have to consider budget allocations and Snapchat’s audience type to determine whether advertising on the app can deliver measureable results for their brands. As social media evolves, stay updated on how those changes can affect your content marketing programs. Subscribe today for the free CMI newsletter. Melissa Lopez is a 17-year advertising veteran and CEO of Katana, a digital marketing partner that manages paid media campaigns with unrivaled use of artificial-based optimization and audience targeting technologies.